The forestry industry employs some brave personnel, as it is incredibly dangerous handling such large solid materials. For employers this means making every space, both outdoors and indoors, and equipment safe. Safety precautions can be expensive in the industry as well – making the investment to keep employees safe is one that can start to add up. For more affordable safety solutions, forestry industry industrial coatings are the simplest and most cost-effective way to keep personnel and equipment safe at all times. For more information on industrial coatings, please contact WBS Coatings today! Every forestry business is different, and their industrial painting should match that uniqueness. With the variety of companies that are on the market, having a wide selection of products to fit each companies’ specific needs is vital. That’s why WBS Coatings has collected a wide variety of industrial painting materials. With over 30 years of collecting the best materials in the business, you can rest assured that your business’ unique needs will be met no matter the specificity. Call today to see what materials can meet your business specific needs! The key to a healthy business relationship is communication. From beginning to end, WBS Coatings will keep you up to date with everything, from the initial consultation to the final inspection and beyond. You’ll be able to voice concerns, test possible solutions, and make changes all along the way, so you can rest assured that your company is provided with exactly the industrial coatings it needs. For more information on what types of coatings we offer, call WBS Coatings today! It is widely known that forestry is a dangerous market to be in, and it’s not just because of the trees, the operation of the machinery is equally if not more hazardous. 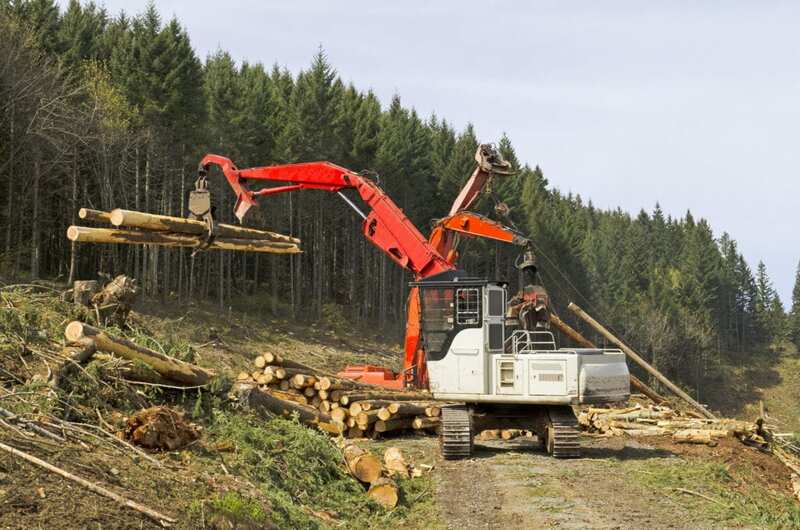 As a cost-effective security measure, forestry industry industrial coatings can be employed to lessen the dangers of operating such machinery. These coatings can reduce the friction and heat created with heavy weight pressures on machinery. For more information on how these coatings can improve the safety of a forestry work environment, call WBS Coatings today!